When you go to the beach nearby the city, you will always love to walk around the sand. You can use this sand to dress up the bathroom. 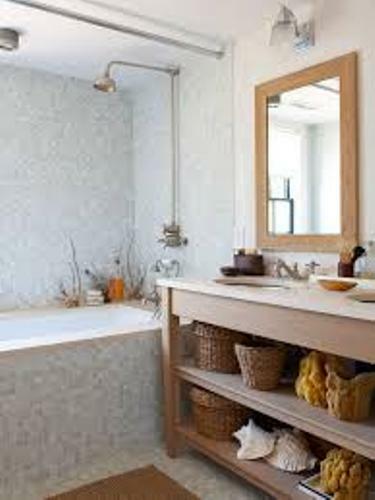 You can have a corner space of the bathroom decorated with beach sand. Then you can add some potted succulent or even palm trees here. This corner space can be the focal point in the bathroom. 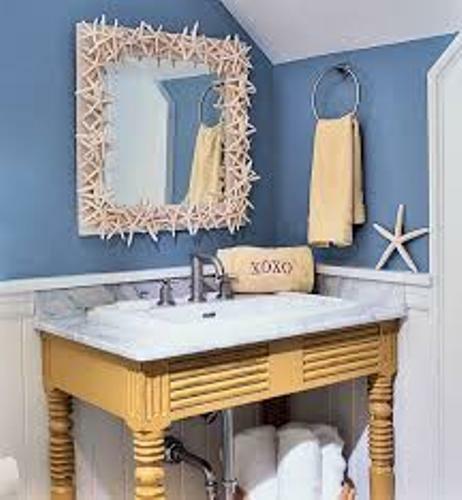 When you decorate the beach inspired bathroom, seashell decoration is very important to have. You can set several clear Mason jars at the countertop. Then decorate the mason jars with the seashell item and colorful ribbon. Use the hot glue to attach the seashell around the Mason jar. You can relax inside the beach bathroom easily if you lit the beach inspired candles. You can get rid of stress when you soak the body inside the beach bathroom design. You can have the candles located inside a glass bowl filled with water. Pick the scent of the candles which remind you with beach. For instance, you can buy the coconut scented candles. 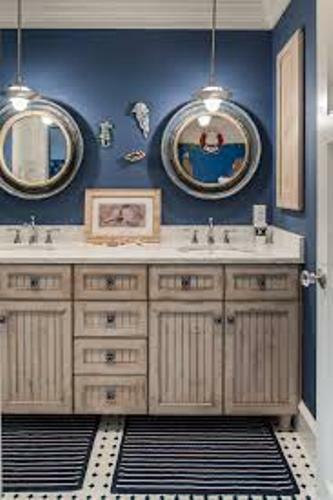 The sea life should be induced inside the beach themed bathroom. You can hang the plain wall color decorated with marine inspired wallpaper. If the bathroom is for little girl, you can set the Princess Ariel the Mermaid wallpaper on the wall. You can also buy the soap dispenser, toothpaste holder, bathroom towel and bathroom mats which have fish images. 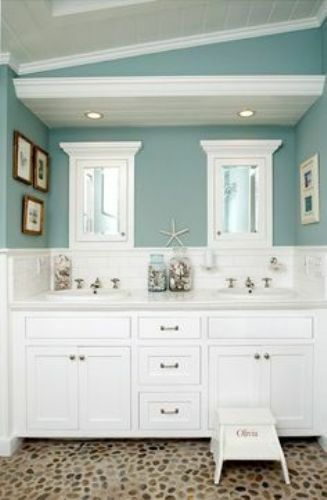 The main tone in the bathroom is nice in blue color. You can combine it with white tone to avoid the overwhelming style. If you want more options, you can choose aqua blue, sea foam green and beige tone. 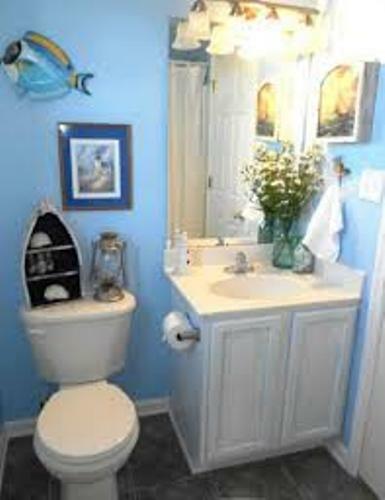 Do you like reading ideas on how to decorate a bathroom in a beach theme?